Telaga Biru. Small lake measuring five hectares (1,575 meters above sea level) is located 1.5 km from the entrance of Cibodas. This lake always looks blue in the sun, because it is covered by blue algae. Cibeureum waterfall. Waterfall that has a height of about 50 meters is about 2.8 km from Cibodas. Around the waterfall can see a kind of red moss that is endemic in West Java. Hot water. Located about 5.3 km or 3.5 hours drive from Cibodas. Stone Cages and Rhino Cages. For camping activities and observation of plants / animals. 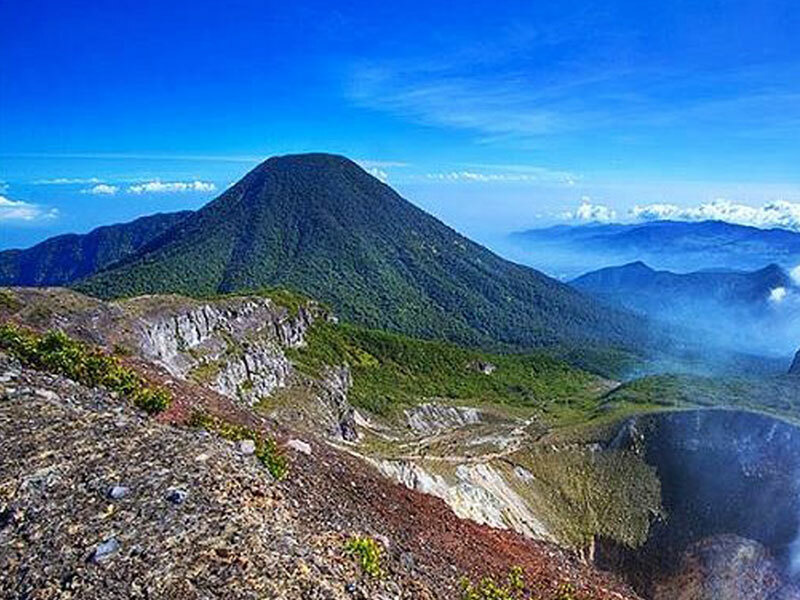 Located at an altitude of 2220 m. dpl with a distance of 7.8 km or 6 hours drive from Cibodas. Peak and Crater of Mount Gede. The panoramic views of the sunset / sunrise, the stretch of Cianjur- Suryakencana Square. Plains covering an area of ​​50 hectares covered edelweiss flowers. Located at an altitude of 2,750 m. dpl with a distance of 11.8 km or 10 hours drive from Cibodas. The Bogor Palace (Indonesian:Istana Bogor, Dutch:Het Paleis te Buitenzorg) is one of 6 Presidential Palaces of Indonesia, it is located in the city of Bogor, West Java. The palace is noted for its distinctive architectural and historical features, as well as the adjoining botanical gardens. 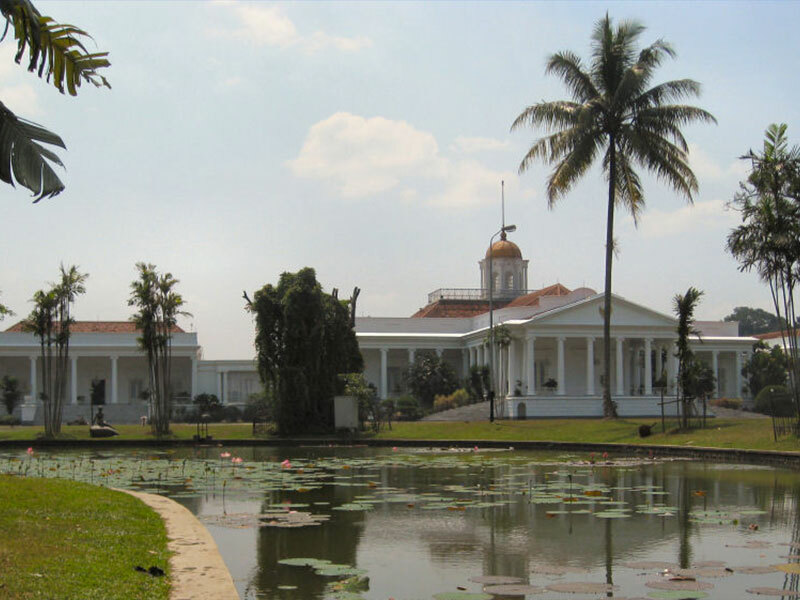 Istana Bogor was opened to the public in 1968 to public tour groups (not individuals), with the permission of the acting President of Indonesia, Suharto. The gardens of the palace covers an area of 284,000 square metres (28.4 hectares). Taman Safari Indonesia or simply Taman Safari are animal theme parks in Bogor, West Java, Mount Pangrango/ Taman Safari Bogor covers an area of 170 hectares (420 acres) and houses a collection of 2,500 animals, including Bengal tigers, Malayan sun bears, giraffes, orangutans, hippos, zebras, cheetahs, elephants, and Komodo dragons. Some, such as the Bali myna, are involved in conservation projects. The majority of the species represented are Indonesian. 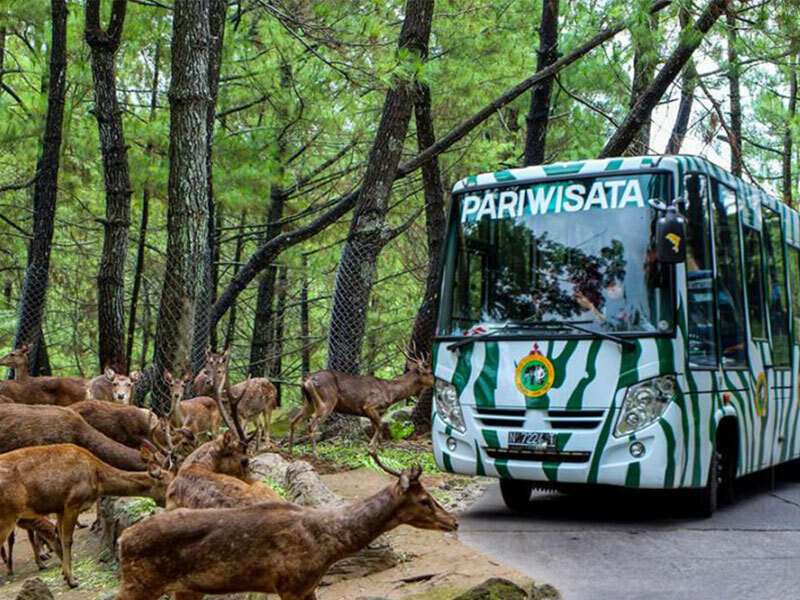 Visitors are encouraged to drive through the park and it is possible to come within touching distance of most of the animals. Six wildlife shows are offered, including a Wild West Show, Dolphin Show, and Elephant Show. The amusement park section of Taman Safari also contains small rides and specialised exhibits that focus on Humboldt penguins, nocturnal animals from Indonesia and India, wallabies and kangaroos, and crocodiles. Bungalows and camping sites are available for guests who wish to stay in the park overnight. 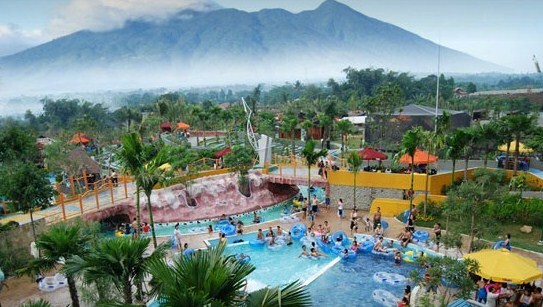 The Jungle Water Adventure was built in the area of Bogor Nirwana Residence Housing (BNR) with a background of Mount Salak. Beautiful scenery and cool air, occupying an area of 3 hectares with 60% of the total area is an open green area in Bogor south. Housing Locations Bogor Nirwana Residence (BNR) is located on Jl. Dreded Heroes, City of South Bogor - West Java. Housing Locations Bogor Nirwana Residence is easily about 10 minutes drive from the toll gate Bogor.